**Online Registration is now closed. Please register onsite**. Join us for a one-hour program followed by a networking cocktail reception. Gallivan, White & Boyd P.A. If your firm would like to sponsor this meeting please contact: Melisa Maisel Vanis, Assistant Director of Meetings, at mmaisel@iadclaw.org. 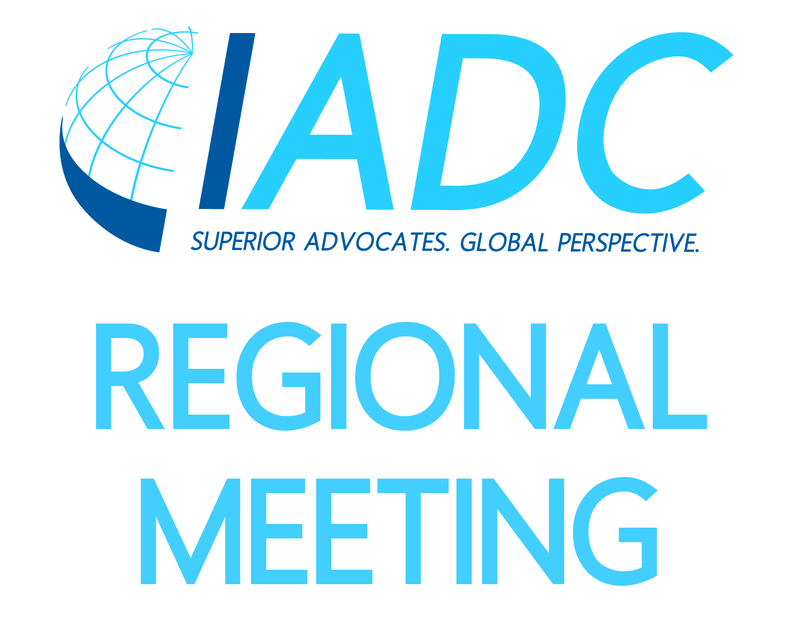 Registration Instructions: Every attendee must register themselves for the Regional Meeting (IADC member or non-member), and you need to be logged in with a username and password in order to register. If you have ever attended an IADC meeting before, you already have a username and password. If you cannot remember your password, please email Diana Leon, Administrative Assistant,at dleon@iadclaw.org. If this is your first time registering for a meeting, you will need to create an account when prompted on the registration page and then continue with your registration. When registering, please select the "Register Myself "button, followed by the "Proceed to Checkout" button, followed by the "Submit Order" button in order to complete your registration. For assistance with registration, please-contact Donna Villa, Meetings Coordinator, at dvilla@iadclaw.org.